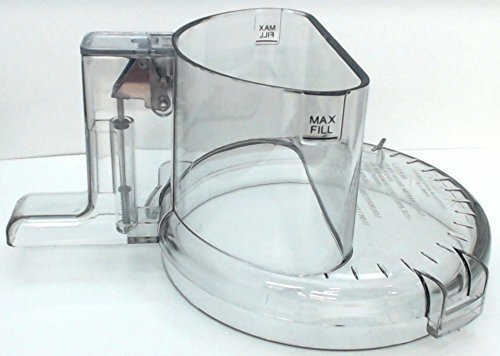 Brand new, Cuisinart Food Processor Work Bowl Cover With Large Feed Tube, DLC-2007WBCN-1. For DLC-2007N Series. This cover features the shorter locking tab on the bottom rim. This cover will NOT work with a BPA Free Tritan workbowl. If you have a Tritan workbowl you will need to order the longer locking tab part number DLC-2007WBCNT-1. If you are not sure if you have a Tritan model, please feel to contact us and we will be happy to help!